The Redolent Mermaid: Three Year Blogiversary Giveaway! 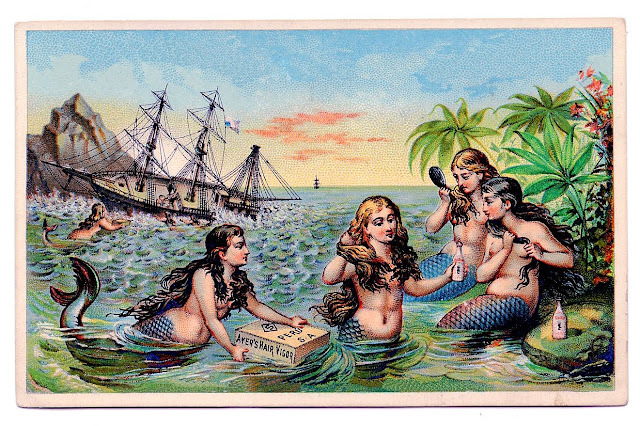 May 29th will mark three years of The Redolent Mermaid. Exploration of interests, creation of friendships and the sniffing of hundreds, if not thousands, of things has made for a splendid time. Some milestones: this is the 955th post, a total of 399,512 views, my most popular post is the Harry Potter Paper Piecing Tutorial, 11 vendors interviewed under the Q&A tag, and after Google and Facebook, most of my viewers enter through Deb's blog at It's Always Something. To celebrate this event I built a box full of My Favorite Things. These are products I absolutely adore and have bought and used multiple times. Staples. These products were all made FRESH for this giveaway, the only thing that personally came from my stash are the face masks. Everything else was bought or donated just for this giveaway. So let's dive in! A 3 ounce bag of Ten Digit Creation's Rosewood & Amber. This is one of my all time favorite sophisticated scents. The longer it cures, the better it gets. I love Amber's use of dye-free wax. It makes warmer clean up a breeze and looks simple and classic. Vintage Chic Scent's Central Park Snowglobe Jumbo Rose provides the ultimate in vanilla peppermint goodness. The rose did turn yellow when I was storing a few items on my husband's desk in the office. Vanilla fragrance oils will do that sometimes when exposed to light, but it still smells amazing. Rosegirls Muffin in Americana Wafers, which blends Blueberry Cobbler, Hot Apple Pie and Vanilla Wafers, remains one of my favorite fruity bakery scents. Comforting and homey. A nice fat chunk of Glitterati's Pink Marshmallow Fireside, because I am addicted to this scent. If you have been reading this blog for any amount of time you know of my huge love for Carol's Fresh Picked Strawberry from Candles From The Keeping Room. There are two cute piles of FPS as well as two other scent samples she gifted. Lasting Scent Candles Aroma Mist in Serenity, a lavender spearmint blend, lends a refreshing aroma to rooms, bathrooms, cars and closets. I spray some in the girls' rooms (reptiles can get a little gamey sometimes) and others areas that may need a little aromatic sprucing. The Aroma Mists are strong and long lasting. A scent shot of Lasting Scent Candles' Bliss since I can never get enough of Pam's lavender or her wedding cake. Seriously. It is incredible stuff. The Bathing Garden's Victorian Midway wax tart shape had to be included. It is fall in a bundt cake form: apples, pumpkins, spice and bakery. I always try to keep a couple on hand. Shannon from The Bathing Garden makes one of my favorite scrubs too. The dense consistency and fine yet effective particulate always makes for smooth skin. This 2 ounce tub of scrub is scented in Tea With The Queen of Hearts. My favorite vendor for all things fall would hands-down be Dessa's Homespun Scents. I had a mini sampler bag made up in a few of my favorites: Autumn Campfire, Smoky Mountain Berries, Apples & Cinnamon, Country Store, and Harvest Moon. Dessa poured them in a variety of cute molds and shapes and that just adds to the charm. Handmade in Florida creates some of my very favorite soaps and now Zahida is pouring wax as well! Wax tarts in Summer Smoothie (mango, guava, papaya and coconut) and Sweet Serenity (confectioners sugar, lavender, eucalyptus and mint) will be included and these are pretty exclusive, as they have not been officially released yet. They smell absolutely incredible. Two full sized bar soaps are in the giveaway as well. The scents will be discussed later. Let me assure you they are lush and delicious summer fruit scent. Handmade in Florida soaps are refined, silky, easily lathered and impeccably scented. Beautibi has become one of my favorite places to shop for skin care. Their boxes and masks never disappoint me. This is a mini sampler of some of their best selling skin care products including: OneOSeven, L'Herboflore, and Simplistic. Just wait until you use that 107 face soap. Holy Snails Shark Sauce serum is one of my daily skin care staples. I have almost used up my whole 30ml bottle and will be replenishing it soon. This 8ml sample (says 5ml but it was generously filled to the top!) should give at least two weeks or more worth of use. 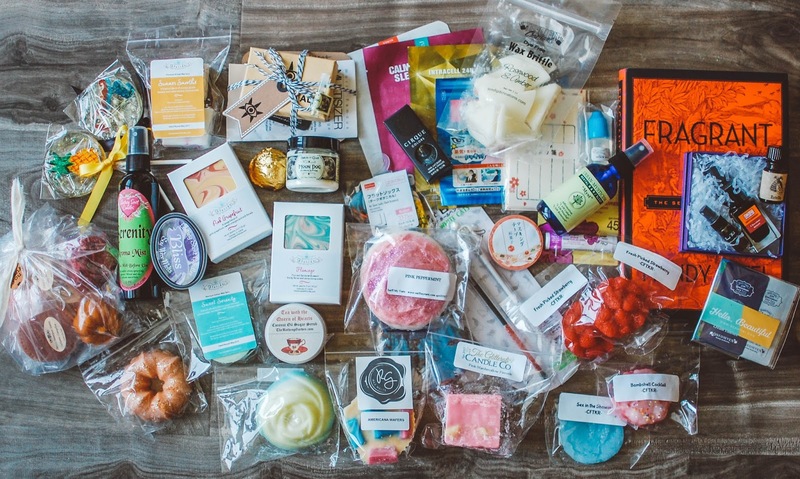 How could this be a favorites box without my beloved Pink Peppermint from Sniff My Tarts? Are any further words needed? Enjoy this large frosted sugar cookie as you drift off to dreamland. Another dreamland inducer is the Urban Mysticism Mental R&R/Sleep Myst. I am on my 3rd bottle. The gentle yet cooling blend of lavender, peppermint and sweet pea extractions are enhanced by amethyst crystals in the bottle. I enjoy spraying this on the back of my neck and on my pillow if extra lavender mint goodness is required. Savanna enjoys this too for nights sleep is evading her. Haus of Gloi is up next, but of course! I love their pumpkin butters and one of my favorite scents is Moon Dog, a blend of coconut, sandalwood and spice. A small 2 ounce tub of pumpkin butter and a sample vial of fragrance oil will be featured, as well as a Butter Bomb in Haus Amber. These butter bombs are dense, rich and heavily scented. They can even be split into two bathing experiences despite their small size. One of my favorite fragrance books is Fragrant by Mandy Aftel. Reading this book last summer comprised one of my most enjoyable experiences. Mandy not only discusses uses of fragrance, sourcing of ingredients but also includes simple perfume recipes for those interested in creating natural perfumes of their own. This book was purchased from The Book Outlet online and has some very minor cosmetic imperfections. I hope that is alright. That was pretty much the only way I could swing getting it for the giveaway. I did purchase mine directly through Mandy on her website and she signed it. I will be purchasing her other books through her in the future as well. She has a couple more published I am itching to push myself into. To go along with Mandy's book is also one of my favorite products from Aftelier, her Chef's Essence Chocolate Absolute. I love it in my coffee on a daily basis (currenly on my second bottle), but it is very versatile! There are about a dozen other items I love from Aftelier I would have loved to include such as her hair and body oils, perfumes and teas. If you read any of my perfume reviews you know I am crushing really hard on two creators right now: Laurie from Sonoma Scent Studio (well, I have always crushed on her) and Julia from Arcana Wildcraft (which I loved her soaps before but now I am in a perfume oil renaissance with her). So I am including a 3ml of Sonoma Scent Studio's Forest Walk and a full 5ml bottle of Arcana's Estella. Forest Walk smells of primitive evergreen forests, warm amber and earthy sweet patchouli. I wear my travel one sparingly until I can buy a full bottle. Estella is a divine boozy amber vanilla that takes time to develop. If you get it and wear it, give it plenty of time (even an hour or so if needed) to let it stew on your flesh. Hang in there. It gets really really good. Also, as a perfume oil, let it sit after receiving it in the mail and the longer it ages the better it will get. But honestly, I love Estella just the way she is. I am really loving my NOHJ sheet masks. I will be including three of my favorites right now: Snail, Sleeping and 24K Gold Lifting. I bought the 10 pack boxes and I have been blowing through them. I am obsessed with these minty heating eye masks for napping, bedtime and flying in planes, they are from KAO and I buy them on Amazon. I blame Michelle who used to blog at Waxing About. She gave me one once and I was hooked ever since. They do have that icy hot sensation and go over your eyes so if you think you will be sensitive to that, please proceed with caution. I freaking love that though. I puts me out like a light. Beach bag staple... Hawaiian Tropic SPF 45 Lip Balm. I love the scent. I love the coverage. I put it on my nose, lips and under eye area on myself and the girls when we are at the beach. Random Japanese favorites straight from Tokyo to you: Japanese no-show socks (they work SO GREAT!!! 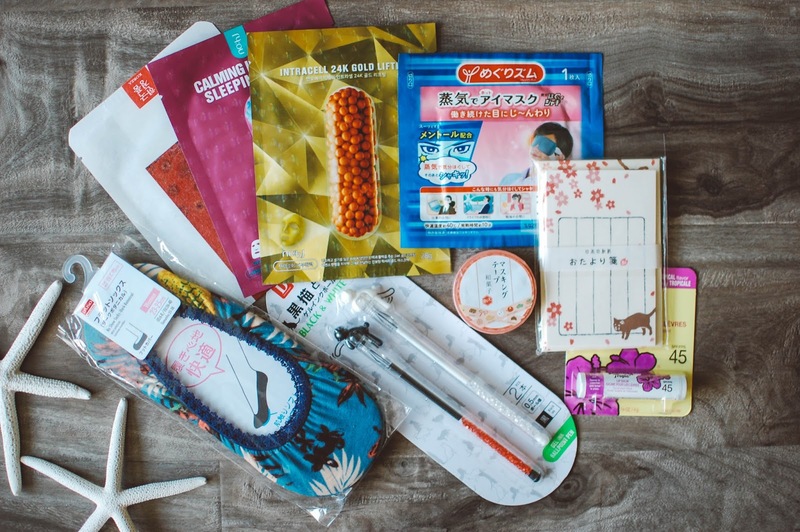 ), mini stationary, washi and cat pens. Don't scoff. Those pens are like magic. I swear. Super fine point that is oh so satisfying. I am sorely tempted to keep these for myself, but I love you guys. I can't be greedy greedy pumpkin seedy. It has been a good long while since I ventured into nail polish territory since Rescue Beauty Lounge and Cult Nails closed shop, but Cirque Colors released some amazing high quality polishes and I wanted to add one to the giveaway. I love the coverage and glassy finish. I can't send a box out without something sweet. And one of my favorite finds last year was A Secret Forest Patisserie. One mermaid lollipop in champagne made just for you and a second one in a surprise flavor because it was a generous extra. These handmade beauties not only look magical but taste that way too. All of these products total up to over $250 in value. Arcana Wildcraft, thank you Julia! Candles From the Keeping Room, thank you Carol! Handmade in Florida, thank you Zahida! Sniff My Tarts, thank you Amy and Donna! Sonoma Scent Studio, thank you Laurie! A Secret Forest, thank you Vanessa! Dida Metals, thank you Rachel! The Bathing Garden, thank you Shannon! Now for how to win. Well. You see, there is not just this one box. >gulp< Nope. There are THREE boxes just like this! Well, the nail polishes are different colors, two of the CFTKR samples are different, the Handmade in Florida soaps are different scents (either Flamingo, Peachy Keen and/or Pink Grapefruit will be in the box), and the socks, stationary and washi are different patterns, and one of the lollipops will be different.... but other than that they are identical! Items will be shipped in a medium flat rate box. This box will be given away here on this blog page, the second will be given away on Instagram and the third box will be given away on The Redolent Mermaid's Facebook page. Please follow me on both IG and FB. To enter here, please tell me what you are most excited to try in this giveaway AND one thing you look forward to this summer. All entries MUST have their email address included in the comment to be qualified. One qualifying entrant will be randomly drawn on May 29th. Not entering but wanted to say congratulations on three years. Glad I was able to help by unknowingly funneling visitors your way. lol :) And wow, you were busy busy for this giveaway! Thank you, Deb! You were my muse and are my greatest support. Thank you for your friendship. Everyone I show the cards you made to thinks they are the most adorable things. I cannot wait to find out who one these and can start writing in them. Thank you! Whoa! Totally exciting! I love how many concerts you will be attending. I was hoping to catch Jimmy Buffett again this year but I don't think I will be able. I hope you have a blast! Missouri has probably some of the most changeable weather I have ever experienced. We went to St. Louis for a wedding several years ago in April. When we landed it was warm in the 80's the next night it was snowing flurries. Insane! I hope your weather is beautiful for you! It is really good! If she releases these scents in Mini Melters you might want to try and get them. So yummy. Congrats on your new place! I am sure it will smell amazing! Congrats on three years, time flies when your having fun right. I wanted to say I'm not entering but this is an awesome giveaway. LOL... I've heard so much about Haus of Gloi, I would love to try them. For the summer no homeschool is a big YAA. I just want to sit on the beach under a umbrella and not think about anything except maybe how does sand manage to get into my wrapped sandwich. I look forward to getting email notifications about a new blog post. Your blog is refreshing and enjoyable. I love reading about the different companies you try and I fantasize over your amazing perfume collection. Have a great summer Julie. It does fly! Thank you, Yasmine! I love seeing your pretty face around here. <3 Heck yes! Enjoy your summer!!! And that is an excellent question... how does that sand end up in all crevices? What beach do you go to? Thank you and I hope you have a memorable summer too! Myrtle Beach is only 3hrs away so we go there. I can't wait. This is so wonderful and generous of you!!! I just started reading your blog about a month ago! You have an incredible talent for words and descriptions! I am most excited about the Aftelier and CFTKR, well, and also Glittetati of course. I adore skin care products and am always loving your recommendations! This is the first summer I am married and I am excited to celebrate it together with my new husband. God Bless and a good things! Thank you for your kind words and welcome! Aftelier really is a treat. I love exploring Mandy's wares. Congrats on your nuptials and may your honeymoon summer be full of wedded bliss. <3 God bless you and your marriage! Thanks for the giveaway!! I would be most excited to try the Vintage Chic Scents rose in Central Park Snowglobe- sounds delicious! This summer I am most looking forward to the birth of my nephew! My email I am subscribed with is amyandjusty@gmail.com. You are welcome! 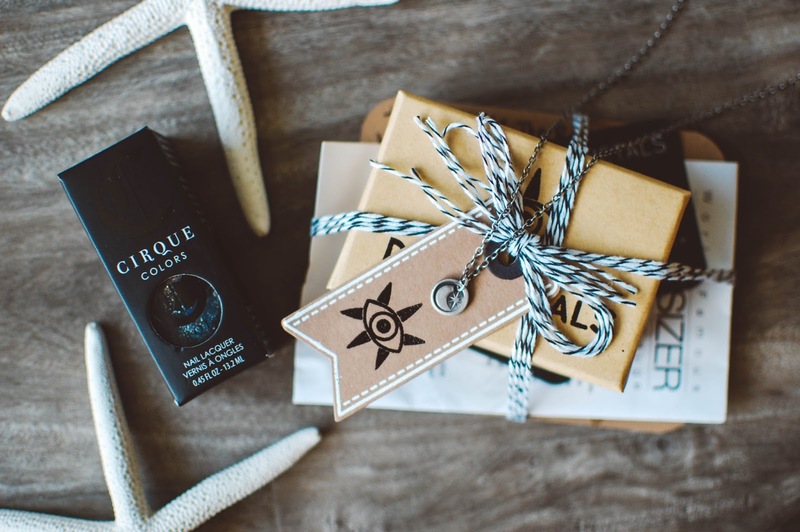 I wish I had to means to give everyone a gift for taking the time to read my blog. :-) I am a freak about Kirby's Central Park Snowglobe. I bought four loaves in it this last opening. >_< Congrats on becoming an aunt! That is so exciting. I pray for a safe and healthy delivery. Congrats on the three years! You've did it! Happy blogoversary! I know blogging can come in waves but I hope you have enjoyed most of your time blogging as I have truly enjoyed reading your post and getting to know you over the last year and a half. Here's to at least three more, fun, amazing picture and smelly fragrant filled years! You tell me that this Pink Marshmallow Fireside is Bae so that is probably what I would be most excited about while I look forward to hopefully go somewhere to watch fireworks this year for the 4th as we missed out last year. Thank you Nicollette! The Handmade in Florida is stunning. Zahida always blows me away. And the chocolate absolute is mind blowingly great! Julie, this is not an entry, but just a note to say congratulations! I am so grateful to have met you through your beautiful blog. You're an amazing lady, and so incredibly talented AND generous! <3 Congratulations!!!!! Thank you so much Nancy. I am thankful to have you as a friend too. You are hugely talented, kind hearted and intelligent. I love having you in my life. What a haul! Congratulations to whomever wins. I would be most excited to try Holy Snails Shark Sauce. It has been on my wishlist forever. I'm most excited about the Bathing Gardens scrub!! Sometimes my skin gets sooooo dry as an RN. A good exfoliate would make my skin feel divine!For the summer, I'm looking forward to serene trips to the Oregon coast, hiking at one of the many waterfalls we have, sitting in my front porch in the early AM with my coffee and a good book, and creating lifetime memories for my little ones. My email address is leek12@georgefox.edu. Wooowwww! Congrats on your 3 year blogoversary and thanks so much for this amazing giveaway opportunity! You and I have very similar taste so I would love each and every item in these boxes, but if I had to pick some standouts, the Pink Marshmallow Fireside from Glitterati sounds divine! Her MF is sooo good and strong, maybe even better than the original. I'm also very excited to see the Cirque polish and Fragrant book. Thank you Amanda! You are so right. Janine's MF is outstanding. I hope you have an enjoyable summer ahead of you! Wow, this is very generous of you and your favorite vendors!!! 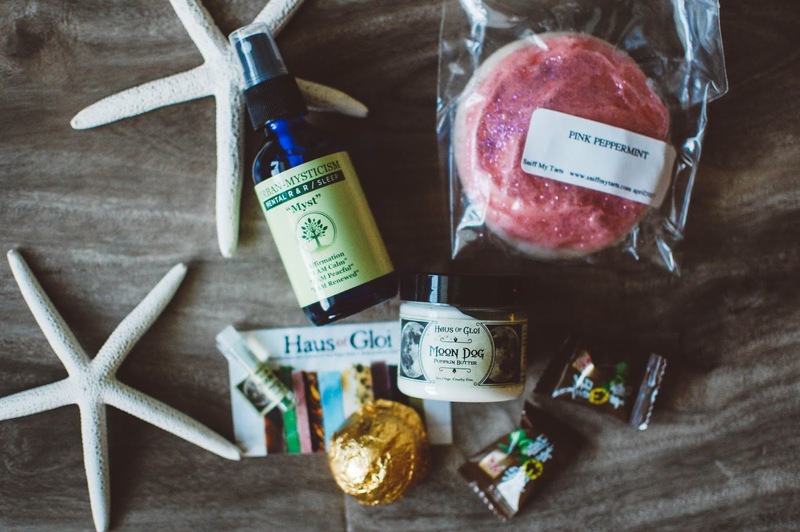 ❤ The *exclusive* Handmade in FL tarts, the mermaid lollipop, the cat pens, and the lavender mint sprays are what I would want to try first. This summer I am looking forward to taking more day trips to the city as well as getting out onto trails again. I love Shannon's wax too. Her scrubs are one of my top favorite formulas for sure. I am in Florida and have to agree with your statement. I love being outside so hoping to find some ways to combat the heat and keep active. <3 May we both enjoy our hot summers. Thank you Elaine! I did my best to bring a snippet of my very favorite things to you guys. Enjoy your trip! The west is definitely an area of the country I would like to explore more thoroughly. SO far I have only been to Vegas twice but I feel like the NorthWest would be like a homecoming to me. Same! I am so happy Zahida does a cart hold because I am going to be gunning for some soap and wax. I hope you and your little have a beautiful summer together. Congrats Joanne! The random name picker chose you as the winner! Please send me your address via the contact form and I will send out your box this week! Oh my goodness, there's so much goodness in this giveaway that my eyes started crossing with joy about halfway through! 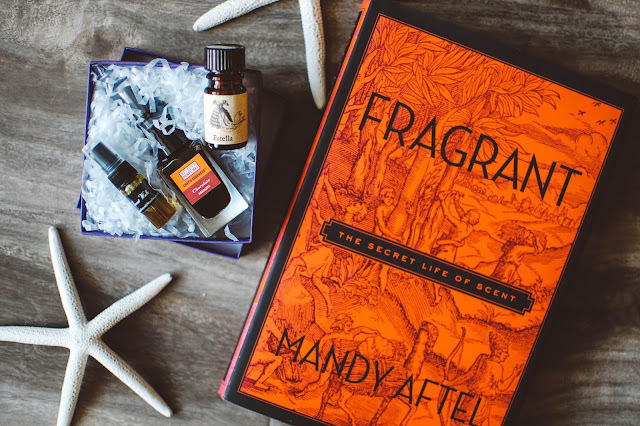 Mandy Aftel is one of my scent heroes of course, so I would love to read her book, and I have yet to try out anything from Haus of Gloi. Coming up in a few weeks, I am most looking to the annual camping trip/abalone dive in Mendocino started back when I was a kid by my dad and his brother and now carried on by a dear friend of the family. Thank you Kate!!!! I always smile when I see you in Deb's or my neck of the woods. <3 I am wearing CdG Kyoto Incense today thanks to you and reveling in it. A camping trip and abalone dive sounds incredible. Mendocino sounds like a coast I would love. Do you keep and use the abalone shells??? They are so lovely. I could see making chimes out of them or jewelry dishes or just to keep around for beauty. Have fun and may your diving be successful. I hope you have a great summer! I have not been to Busch Gardens in forever. What beach are you guys going to? Thank you for stopping by! There is always some kinda wax action on here. Solar panels! How cool! Yes! I tend to find success if I set my alarm on my phone to go off 5 minutes before an opening so I am locked and ready to go. I hope the fair is great fun for you guys! It has been a while since I have visited the Florida State Fair. Congratulations Julie! I'm most looking forward to Sonoma Scent Studio, I've been wanting to try them for ages. The Dida necklace is also gorgeous. I'm looking forward to going on adventures with my kiddos this summer. I cannot wait until Zahida opens. She is a true magician with soap. I am looking forward to beach days with my girls too. What beach do you frequent? Oops, forgot to say what I am most excited about this summer. Going on little adventures with my kids! Yessss.... welcome to the dark side.... it smells SINFULLY good! Muahahahah! I hope you guys have a ton of fun little adventures. I have the same goal. I don't have a summer, I work full time and summer isn't any different. I am most excited about the wax from Homemade from Florida. My email is gooseisevil at gmail dot com. Oh no. That stinks! No BBQ's? Day trips or water activities? I am sorry to hear that. Even when working full time it is still nice to have some summer bonfires or get togethers planned. That wax from Handmade in Florida is worthy of excitement. And you are right geese are evil. Congratulations on 3 years! I just started on Instagram so I will be sure to add you. I am most excited about the items from Handmade in Florida. She has been my soaping idol for a long time and I haven't had a chance to get anything from her yet. Everything looks absolutely wonderful! Thank you Christina! It has been quite the endeavor working on this blog. Zahida is a master at what she does for sure. Congrats! I have loved reading your blog for many, many months, though I have gone back quite far, maybe even to the beginning. I am excited about the wax of course, though the Japanese items all seem so neato. Summertime is work for me, with a huge project looming, might not even be able to make it to see family, very close to you :-) Email is leannekatz @ gmail . com. Thanks for this lovely giveaway! Everything looks wonderful, I wouldn't know what to choose! I'm very excited for summer as my son will be home from out of state where he has been attending college. My email is VanSwssAlmd@gmail.com. Thanks so much for this wonderful giveaway!! Thank you Kim and welcome! I am happy you came. Homeschooling is such a wonderful undertaking. I hope it is going well for you and your kiddos. As a teacher too, I use the summer to catch up on my creative projects as well. Julie, congratulations on three years of successful blogging! I enjoy all of the adventures and awesome products that you share and love seeing what's in your meting baskets. Thanks for hosting such an amazing giveaway! If I were lucky enough to win, I'd be most excited about trying the Urban Mysticism mist. I'm not a very good sleeper and like to use soothing scents to help with the insomnia. My goal this summer is to get organized! I played hermit this winter and ended up amassing too much stuff. I need to do some very late spring cleaning and get things sorted. Thank you so much! I am happy you are enjoying the baskets and such. <3 I need a little help drifting off to dreamland myself so I know how that goes. Sometimes Urban Mysticism has BOGO sales and that is when I stock up. Summer is a perfect time to haul out the old dusty stuff and get all the goodies organized. I am hoping to get a new little wooden shelf in which to store my new horde of perfume oils. Sorry, my link didn't work! Yes Julie. I have been stalking SS hoping Desert Thunderstorm is brought back this summer (finders crossed). If not that, then I have a friend that is spending the summer in India and i'm hoping to acquire a bit of attar Mitti--it's usually translated as petrichor, but is also described as 'the earth after a monsoon'. Wow! How exciting! I love when life takes unexpected positive turns. I hope you love your new chapter and I wish you all the success you could desire in your new soaping business. <3 I am a huge admirer of Mandy and her work as well. It is very nice. Good luck. I am most looking forward to trying the Dessa's Homespun Scents sampler bag! One thing I am looking forward to this summer is my birthday and spending time outside in the beautiful weather with my dog! Thanks! Dessa makes some brilliant spicy scents. I hope you have a great birthday and a wonderful summer with your pup! I am excited to try Handmade in Florida's soaps. I love all Zahida's creation and just drooling over everytime I saw her exquisite photos! Zahida is quite the goddess of soaps. She puts her all into her work and it shines. How exciting!!! Let me know when you decide where you are going. I am staying stateside this year but we do have plans to visit Bali one day in a few years. London is on my list too. Just wow. Your heart is as generous as your style is matchless. Congrats to the lucky winner! I can't believe the Dida Metal's prize, hands down what I'd desire most. Summer's just getting started and I'm already looking forward to a slower-paced July. Thank you Jay <3 I am wearing that necklace as I type. It is my go-to piece. I love how dainty and light and sweet it is. I hope you have a nice July!! June is slow for us but July is our vacation month so it flies by. Congratulations on three years of blogging!! I am most excited about the Beautibi and Handmade in Florida products. I am most looking forward to spending quality time with my grandson. Thank you Karen! I had a vanilla lace piped heart from SMT on my wishlist but I don't think I ended up buying it. I will regret that I am sure. I hope your move goes smoothly for you! I think it would be nice to wait and have an order coming to your new place. <3 A house warming for your new joint. The Handmade in Florida products look incredible and that book! I'm looking forward to mangoes being in season again and eating all of them. sorbet at gmail <3 congratulations on 3 years Julie, I'm always excited to read new posts when I visit and I'm excited to see new wonderful scents and pretties you experience and recommend in the future! Julie, congratulations! What a milestone; you must feel great. :) And holy giveaway - how lovely! A giant mess of Julie favourites, so you know it's got to be great. 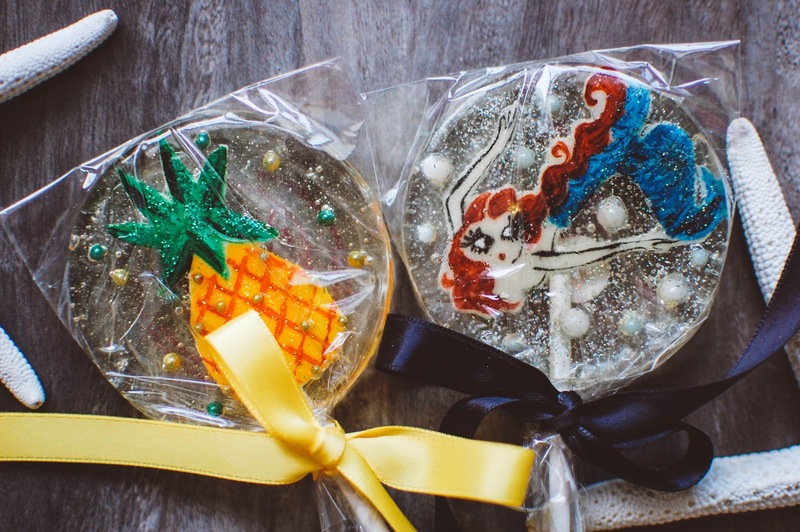 I shall throw my chapeau in the ring with this - from this giveway, I would be most excited to try those gorgeous lollipops (the mermaid, how perfect!) and the thing I'm looking forward to the most this summer is continuing my healthy eating and living regime, making some strides towards impressing the crap out of my doctor in a couple months' time. :) You know where to find me, but...fingercandynails@yahoo.ca. :) Thank you for this, so lovely. Thanks, Sandra! I am thrilled to have kept with it this long. I know you have been blogging much longer and I have great respect for that. Happy you are entering. The lollipops are hard to part with. Thankfully I have two left from my holiday order. :-) It makes prying my fingers from them much easier. I am so happy for you and your journey to great health!! I will be joining you once school is out. Thank you for being a friend. I look forward to growing it. Hawaii! Have fun!!! You definitely deserve a vacation. Recharge those batteries surrounded in beauty. Pool time would be amazing. We usually buy a cheap blow up pool form Walmart but I doubt we will this summer since the girls no longer swim in it, they just go to their friends' homes and swim now. Mom is left high and dry in the kiddie pool all alone. How is Salem? Is there a lot to do? I love your list of things to do. Sounds like a peaceful summer plan. Welcome! Thank you for coming by Sarah, it is nice to meet you. I swear those mint eye masks are one of my favorite night time routines when I wear them. With four kids you must get an abundance of hugs and kisses. I am sure you guys will have an amazing summer together. 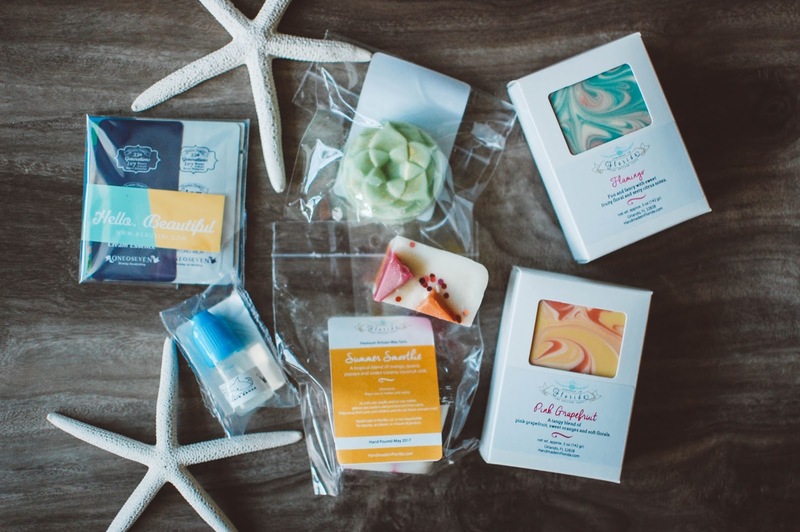 My one favorite item in the giveaway to choose would be Handmade in Florida soaps!!!! I am looking forward to Blueberries that I get from my local farmers market!!! I can see why! They are dreamy. Enjoy your blueberries! DO you have any favorite recipes you use them for? 3 years is such an accomplishment. Kudos to you and a big ol' thank you is in order for bringing us such great content. Please keep it coming!! I think the thing I'm most interested in is the Holy Snails Shark Sauce. Getting older makes me more and more obsessed with my skin care products lol. As I mentioned on my Facebook comment, I'm going to try to do a mini vacay with the kiddos this summer. Two of my sons play in a basketball tournament in Memphis next month, so I may incorporate a few days of sight seeing and of course eating BBQ on the trip. My email is: bballmom6@yahoo.com Thank you for the great giveaway! Thanks, Renee! Like you I am on a major skin care kick as well. Trying to take better care of my face flesh and all that. Memphis and BBQ sounds like the best mini vacay ever. I hope your boys do well and you guys have a great time. I hope where ever life takes you in this new chapter it will be an amazingly beautiful journey for you. Thank you for honoring me with your time and reading my posts. <3 Wishing you all the best. Out of this entire thing, I'm eyeballing the handmade in Florida soaps. I have been trying to get my hands on one of her soaps for so long. Every time she has a stocking, I miss it. And this summer I'm most looking forward to my honeymoon. My husband and I got married last year, but unfortunately we weren't able to go on a honeymoon. I actually started my new job the day after we got married. So this will be fun! No kid and nothing but the beach and fun! woww !! 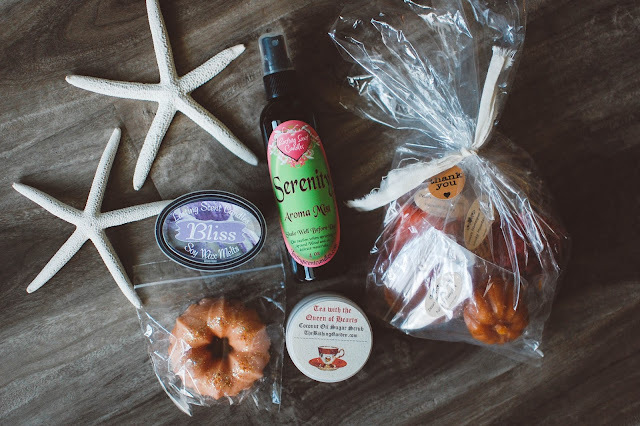 such a generous giveaway ������ i dont see how i could pick one thing to be most excited about but deffinately all the wax melts and that cute little peach soap :D this summer im looking forward to expanding my small business to support my family !! I wish you much success in expanding your business! I know how important small businesses are to families. I try my best to support them. Have a great summer. Since I have trouble sleeping I am most excited to try the Urban Mysticism Mental R&R/Sleep Myst. One thing I am looking forward to this summer is my 35th High School Reunion in July. I hope you have a blast at your reunion. I sometimes wish I wasn't such a recluse and could enjoy things like reunions but honestly since I am such an introvert I really didn't have a lot of friends in high school either so there wouldn't be anyone to meet up with! LOL! Enjoy your time there! Oh my.... what a great, generous giveaway!! I am excited to try Rosegirls wax and The Bathing Garden wax. Never tried them before. This summer I am looking forward to reading and relaxing outside in the sunshine. Thanks! I need to update my wax and perfume pages to include more recent vendors and creators. Thank you for reminding me! I am on a huge sheet mask tear. I cannot get enough of them. Wore that NOHJ Sleeping mask last night. I hope your summer weather is perfection. I don't know if I'm the most excited about Mandy Aftel's book and spray or the Sonoma Scent Studio oil, really. There's a lot to be excited for in this giveaway! As for the summer, well, what am I anticipating most? Probably outdoor dinners, reading books on the beach (while wearing a large hat and a ton of sunscreen, of course) and doing a bit of travel. Those are both great options to look forward to! I love them too. Outdoor dinner! Beachside reading! Travel! You are describing the summer of my dreams. Thank you for posting your email in the non-spam format. I appreciate it. I figured most people would know to post their email in a safe manner but I am seeing that is not the case. :-( Ah well. Hoping the trolls aren't lurking around here. <3 And I love NowSmellThis blog. It is a huge resource for perfume lovers. It is a fabulous scent! I hope you love Kong's Dominion. We love Universal Studios. So much fun! Thank you! It is a fabulous soap and formula. I hope your vacation brings a lot of love and adventure. Wow what an amazing assortment of goodies! It all looks so amazing. I think the one thing that I'm most curious about is the Holy Snails Shark Sauce serum. It would be great to finally find something I think is a must have in my daily skin care. I'm 47 and still looking for it lol. The waxes are a close second. 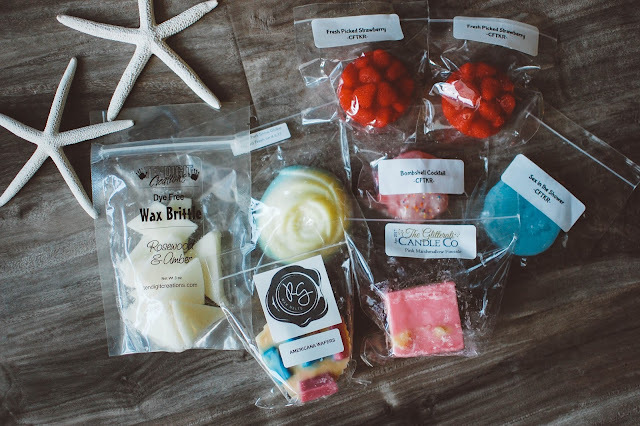 I'm just getting why so many people are into indie wax melts! This summer I'm looking forward to going to the lake. I didn't last summer at all and i have always spent much of the summer weekends there and really missed it. There's just something that soothes your soul and awakens your joy when you can sit around a beautiful lake and just relax and enjoy the simple beauty. Congrats on 3 years! It sure seemed to go by quickly! Thanks! It was a labor of love. I feel you about finding some skin care holy grail items. My face is drinking up anything I can lay on it. Indie wax really is a deep rabbit hole LOL! Welcome and I hope you find some new treasures. Lake living sounds beautiful! We live near one but not close enough to matter. There really is something about the water that is therapeutic for sure. Welcome and good luck! I thought I felt my eyebrows twitching more than usual! It's probably too late for me to enter now, but I just wanted to give you a major congratulations on three years of blogging sweet friend!!! You are such an inspiration in so many ways, from your photography, writing and talent in so many other arts to your generosity and genuine kindness. I know you must work very hard on your blog and it shows. Be so proud of this amazing world you have created here! It has been so wonderful to see you blossom into one of the greats. Thank you for continuing to blog! Free time doesn't seem to exist for me anymore in this world of attachment parenting but when I do have a moment, your blog is always one of the first things I click on to have a moment of relaxation and unwinding <3 And how cool is it that because of our blogs, we got to meet in person?! The way your blog has brought people together and the people you have met is surely something that will stand the test of time after you have retired (but will you ever?!). Oh and if it's not too late - I would be so excited to try the Aftelier chocolate essence!! Chocolate is life. Any way to get the flavor without the extra calories is a win in my book! And this summer, I am most looking forward to making memories with my sweet baby boy! Being born in October in Ohio, we didn't get to do a whole lot of outdoorsy things for most of his life. And now we are making up for lost time for sure! The lake, the woods, the city - he will be experiencing it all this summer. My email is thescholarlynail (at) gmail (dot) com. So much love and congratulations to you Julie!!!!! Thank you so much for your kind words Jacqui! You were certainly an inspiration too. I love reading your blog still. And I loved getting to meet you in real life as well. I am anxious to meet your handsome little man now too. Maybe next time we come up or you come down we can meet up again. 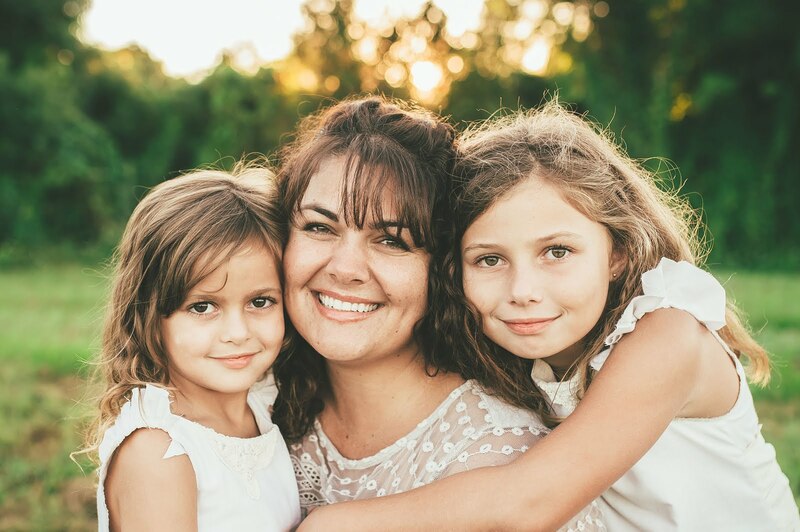 You are a beautiful mom and you will do a fabulous job raising Ever. Yes times a thousand on adding flavor without calories. Plus no harmful chemicals. Just pure unadulterated chocolate. I think you would appreciate Mandy's all natural offerings. She is a queen at what she does. Enjoy your summer with your boys out and about making memories and having adventures! <3 These will be wonderful times for you guys.